Tajik authorities continue seeking a discussion of a possible assistance program with the International Monetary Fund (IMF). 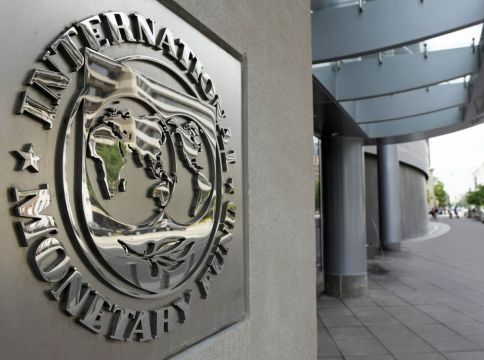 “The authorities indicated that they would like to begin discussions on a possible program supported by the IMF,” said the statement following the results of IMF mission to Tajikistan which ended last week. The statement noted that negotiations on the new program may begin in the coming months, after “careful preparation of both sides, the Tajik authorities and IMF staff,” Tajik agency “ASIA-Plus” reported. “They [the Tajik authorities] have already taken steps demonstrating the progress of the reforms in order to pave the way for negotiations on the program,” the statement reads. In fact, the IMF representatives stated exactly the same one year ago on the results of their mission to the republic. “The steps demonstrating the progress of reforms will pave the way for resuming negotiations on the program, which will require careful preparation by both the official bodies of Tajikistan and the staff of the IMF,” the Fund said in late May 2017. Negotiations on granting Tajikistan a soft loan under the new program of the IMF “Extended Credit Facility (ECF)” have been protracted for several years. The ECF provides financial assistance to countries with protracted balance of payments problems. The ECF was created under the Poverty Reduction and Growth Trust (PRGT) as part of a broader reform to make the Fund’s financial support more flexible and better tailored to the diverse needs of low-income countries (LICs), including in times of crisis. The ECF is the Fund’s main tool for providing medium-term support to LICs. The ECF may also help catalyze additional foreign aid. The ECF supports countries’ economic programs aimed at moving toward a stable and sustainable macroeconomic position consistent with strong and durable poverty reduction and growth. The term of the previous three-year program, within which the IMF provided Tajikistan with a soft loan of more than $160 million, was completed in July 2012. In autumn 2012, the Tajik authorities have applied to the IMF for a new three-year arrangement under the extended credit facility. The IMF representatives that time reportedly raised hopes of coordinating the next three-year program. However, the negotiations on this subject are still continuing and now specific agreements have been reached so far. Within the framework of the new program Tajikistan intended to attract a $500 million preferential loan from the IMF for supporting the country's economy. Consultations between the Tajik authorities and the IMF were held in Dushanbe in November last year.